When Calls the Heart is a rare gem of quality family entertainment. 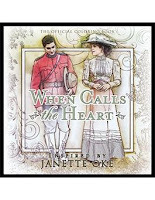 When Calls the Heart is produced by Michael Landon Jr. and based on the book series by Christian author, Janette Oke. This series is set in the early 1900s in western Canada and features enduring characters and rich storylines. Season 3 brings the storyline back to the coal mining town and focuses less on the big city of Hamilton. Fans of the show were glad to see a return to the small town simplicity of season 1. The mystery continues from season 2, as do rivalries between key characters. New mysteries and new characters are also introduced in season 3 (including one character played by Brooke Shields). Season 3 starts off with a special New Year's Eve episode that I can see becoming a lovely tradition for our family to watch each year! This episode shows how the residents of this small town in western Canada celebrate New Year's Eve and anticipate all that the future has in store for them. I'm being intentionally vague so as not to give spoilers, but there might be a New Year's Eve kiss by a couple of lovebirds. 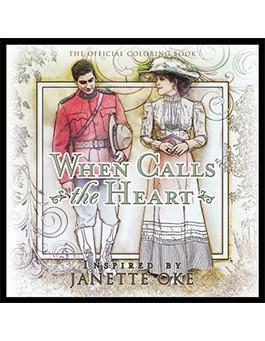 This boxset contains both When Calls the Heart episodes as they aired on the Hallmark channel as well as movie length versions of the episodes so you can choose how you would like to view them. You can even keep one set of DVDs for yourself and give the other set of DVDs to a friend -- although you'll have to decide who gets to keep the case. My family continues to rely on When Calls the Heart for quality entertainment that the whole family can enjoy. We typically watch an episode on a Sunday night with a bowl of popcorn and cuddles on the couch. So few shows these days are appropriate for young viewers and also enjoyable for adults. This show meets both requirements with flying colours! Check out: Fish Flix for When Calls the Heart DVDs as well as other Christian Movies that your family is sure to enjoy! 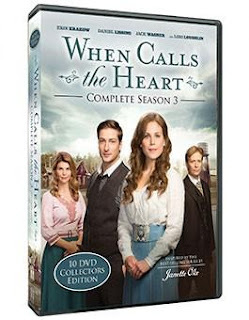 For those who act quickly -- there is a SALE on When Calls the Heart DVDs and even a When Calls the Heart Season 1-3 Combo Deal !!! Also, for those Hearties who love to colour, there is a When Calls the Heart Colouring Book ! How fun would that be?! Disclosure: I received the above mentioned product for free in exchange for an honest review on my blog. Regardless, I only recommend products or services I use personally and believe would be good for my readers. Looks like an interesting show. You should totally check it out! It's a great show!!! I watched the first season and got hooked on this show! Clever show. Keep watching -- it's a show that's always changing to keep you on your toes!